ABC Family has found its male lead for new series “Shadowhunters,” based on the best-selling “Mortal Instruments” novels by Cassandra Clare, TheWrap has learned. 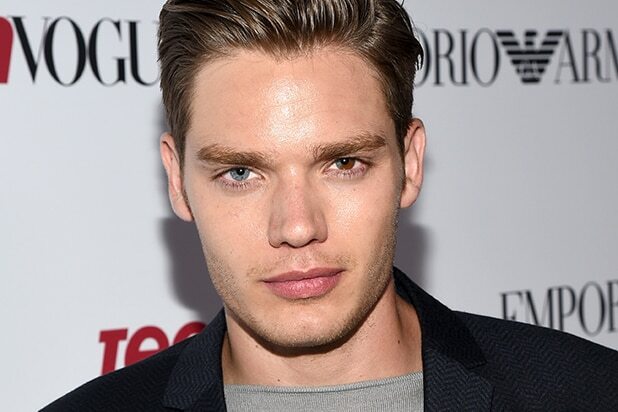 Actor Dominic Sherwood, who last starred in the “Vampire Academy” film, will play Jace, one of the titular Shadowhunters in the urban fantasy adaptation. “Shadowhunters” follows 18-year-old Clary Fray who finds out on her birthday that she is not who she thinks she is, but rather comes from a long line of Shadowhunters — human-angel hybrids who hunt down demons. When her mother Jocelyn is kidnapped, Clary is thrown into the world of demon hunting with mysterious Shadowhunter Jace and her best friend Simon. Sherwood’s Jace is described as narcissistic, lethally gorgeous and a skilled demon hunter, whose mission in life is to find the man who killed his father. Sherwood played the role of Christian in Mark Waters‘ “Vampire Academy” adaptation and was also featured in Taylor Swift‘s music video for “Style.” He is represented by Curtis Brown in the UK and WME.